Thus, pull-ups become an effective exercise. 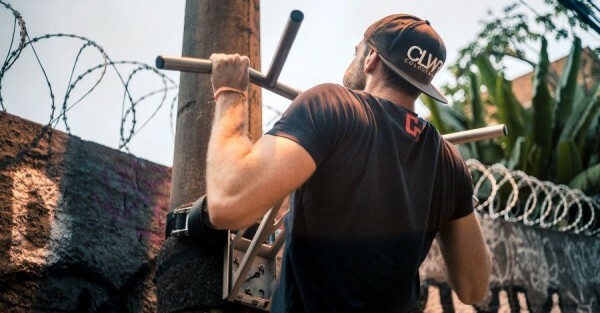 From wrong execution to falsified or forced repetitions: The list, of what can go wrong in the case of pull-ups, is long - and who is looking closely in the gym, can always discover new errors with a nice regularity. Sounds comical, but it is true - just out of despair and fear of failure, many athletes forgo one of the most effective exercises the gym has to offer. Even if it is just a little fun at the beginning and you get a crisis during every workout, because after a few repetitions it’s already concluded - staying on and biting is the motto. You have different strategies at your disposal - but it is important that you do not give up. The feeling is way more intensive afterwards, if you finally get it: Then you know that the endurance was worth it! 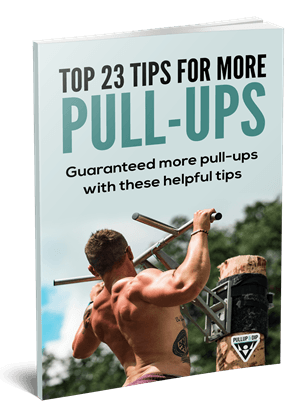 If you have pull-ups on the back, you usually have to do this: hang on to the pull-up bar, do the maximum number of repetitions, check off set. The whole thing is repeated 3 to a maximum of 4 times - finished. Problem: If you only do 2 or 3 reps, the scheme will grant you absolutely zero progress. Whether it is hypertrophy or strength gain - to achieve your goals, you have to give your body clear impulses. This is only possible if you have enough repetitions, if possible with additional weight. It is best to increase the maximum number of repetitions by running the pull-ups in the cluster. For this you set a certain number (usually 20 pull-ups) and then do as many repetitions in your first sentence, until you do not perform one smoothly. Then you take a short break until you can continue - even then you do as many repetitions, until you can’t push it any further. Overall, this will continue until you have clustered your previously set number. The cluster method is extremely effective and has already converted a lot of pull-up muffins to experts - it is generally recommended whenever the repetition rate is very low and cannot trigger a clear training pulse. 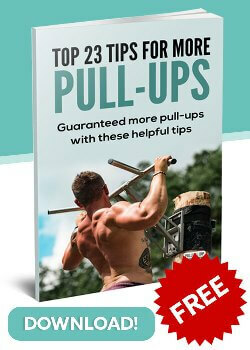 Pull-ups are "just" weight exercises - yet you should keep in mind that you are moving your entire body weight. Many of them want to know exactly and are already starting to add weight in form of dumbbell discs right from the start - thereby you only reduce the repetitions in favor of the increased load. Also, if it looks great, if you do pull-ups with dumbbells and heavy slices - it will grant you nothing. Unless you are so good that you can even get into the hypertrophy area and lose 10 to 12 repetitions. 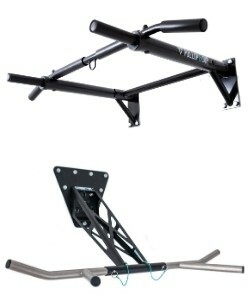 Check out more about weighted-pull-ups and its benefits. The correct movement sequence means that you should stretch the arms completely in the negative phase (that is, in the downward movement). Only then you start into the positive phase (i.e. into the upward movement). If you place yourself in the corner of your gym, you will find that here the chaff separates from the wheat - many athletes shorten the radius of movement by not completely hanging out, but only partially. 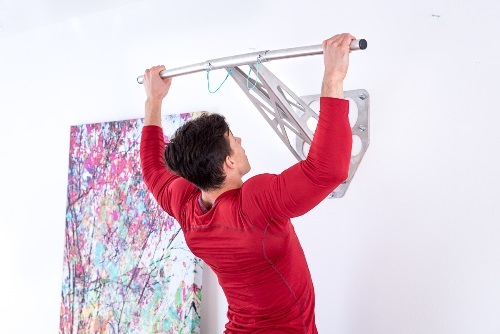 This makes the further repetitions easier - but cannot be called a complete pull-up. Therefore, be careful to take full advantage of the movement amplitude - only then you demand the maximum number of muscles that should be trained during the pull-ups. 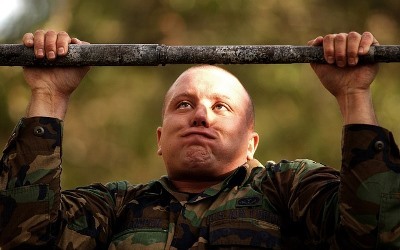 Even clear - pull-ups are often the hate exercise number 1. That should not mean that you breed with full throttle through the exercise, as if there was no tomorrow. Therefore, allow yourself time for the exercise as a whole and especially for each individual repetition - the more concentrated you train, the better. So take the same amount of time for the pull-ups as for any other heavy exercises such as squats or bench presses - because the repetitions will last for more than a few seconds. If progress and progression remain on the line, you should start to vary your training scheme. Whether in the repetition number or in other basic stuff - a small change often makes sure that you continue to improve. Of course, only if the change does not only have a single place in the training plan, but is passed through several work-outs - often that provides the necessary impulse you need in your usual routine more and heavier in the pull-ups. It is no coincidence that training is taught periodically and trained in cycles - this approach also serves to provide comprehensive stimuli and to achieve the widest range possible through variations. The mistakes I mostly see are not doing the full range of motion or these kipping pull-ups with way too much motion. I also agree to all the mistakes mentioned above, the right rechnique and actually doing them regularly is THE most important thing if you wanna get better with pull-ups!